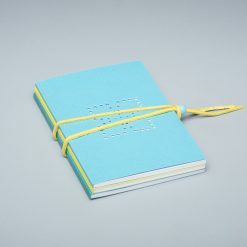 An attractive set of three notebooks that would make an ideal gift. 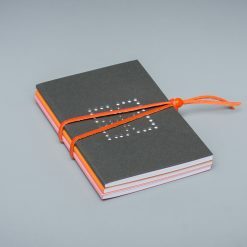 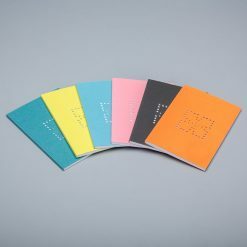 The packs come in different colour combinations and are made from good quality re-cycled paper and card. 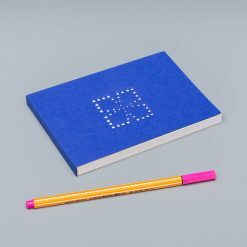 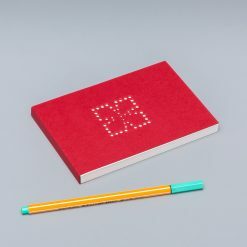 The motif on the front cover is made from punched holes. 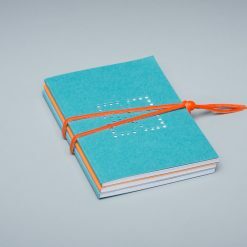 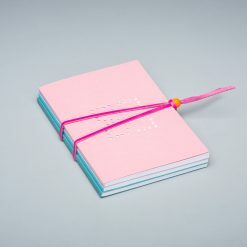 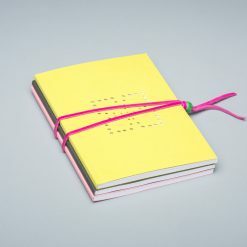 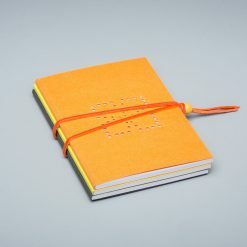 The notebooks are held together with a leather thong and bead.